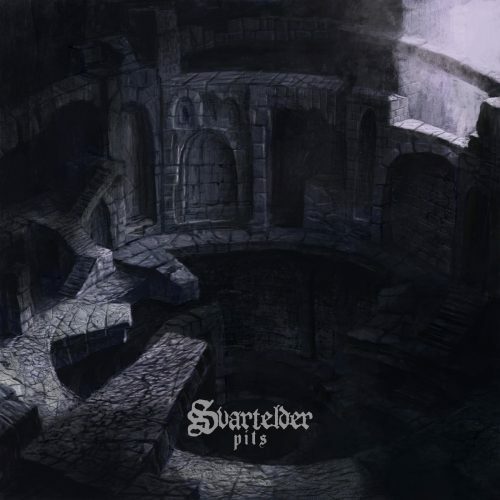 Svartelder is a Norwegian band that caught and kept my attention ever since I first listened to them. They bring forth dark melodies that are characteristically Norwegian. I can’t say I can compare their music to other bands directly, but however it does evoke Mayhem, Arcturus, and perhaps a bit of modern melody also comes to mind, like the sound of Old Man’s Child, although faintly. But this is why Svartelder is interesting. The music is a bit familiar, but it is something different at the same time. The composition and performing reflect the high skills of seasoned musicians such as Tjalve (1349, Den Saakaldte, Pantheon I), Doedsadmiral (Nordjevel, Doedsvangr), Spektre (Gaahls Wyrd, Horizon Ablaze) and Renton (Trollfest). Their latest album Pits, which is out now, is very interesting as a whole. It stands as a cohesive piece; the songs seem to fit an overall plan when it comes to the song order (this is something to be truly appreciated in this era of iTunes albums made so that each song targets one particular section of the market). Pits is enjoyable because of the particular considerations that seem to have been given when it comes to tempos and arrangements, as well as the excellent musical performance.